Suspected herdsmen on Wednesday attacked Bare village in the Numan Local Government of Adamawa State, killing two people and inflicting 29 others with various degrees of injury. According to reports, those killed were attacked on their farms while the attackers also set the villages ablaze. The Chairman, Numan Local Government Area, Rev. Arnold Ijibla, who called on the people not to take laws into their hands, said security agencies were in control of the situation. One of the victims of the attack, Simeon Mailaimu, who is the councillor representing Bare Council Ward in the local government, said the attack was unprovoked. Mailaimu, who is the leader of the Numan Legislative Council, told The Punch that cows belonging to Fulani herdsmen had invaded the farmland of a farmer, adding that the community was attacked because the residents tried to chase the cows away from the farm. 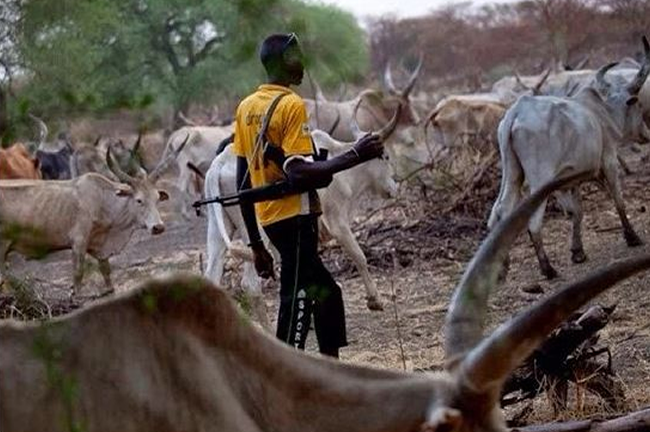 The chairman of the Hunters Association, Nasarawa Demsa and Numan branch, Alhaji Bala Uba, called on the state government to provide vehicles for their quick response to tackle the invasion of the village by Herdsmen.